Operations Officer, World Bank, Karlene Francis, addresses a recent JIS Think Tank, where she provided information on funding opportunities for climate change innovators. Climate change innovators in Jamaica and the wider region can access funding to develop their projects through the World Bank’s Entrepreneurship Programme for Innovation in the Caribbean (EPIC). 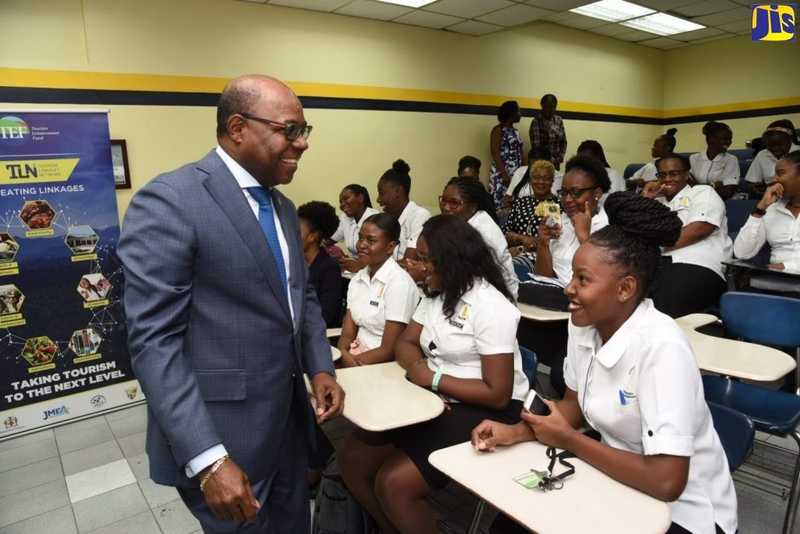 “There are many opportunities for Jamaicans and the rest of the Caribbean to utilise climate change to increase employment, economic development and sustainability,” said Operations Officer at the World Bank, Karlene Francis. She noted that support is available for women entrepreneurs and for the creation of mobile innovations. These innovations include clean technologies in energy, water, agriculture, transport, among other areas, that are designed to mitigate the effects of and adapt to climate change. She was addressing a recent Think Tank at the JIS’s head office in Kingston. Ms. Francis informed that beneficiaries under the Caribbean Climate Innovation Center’s (CCIC) Boot Camp and Accelerator programmes, which are part of the EPIC, can also access additional funding and networking opportunities. In the meantime, Miss Francis informed that the Bank recently launched a crowd funding online course for Caribbean entrepreneurs. She said that crowd funding is an easy way to gain funds from investors using an online platform. To qualify for the CCIC’s Boot Camp and Accelerator programmes, persons must be engaged in developing technologies in the areas of energy efficiency, sustainable agriculture, renewable energy, waste water management, or resource use efficiency. The CCIC is a consortium under the Scientific Research Council and the Caribbean Industrial Research Institute in Trinidad.